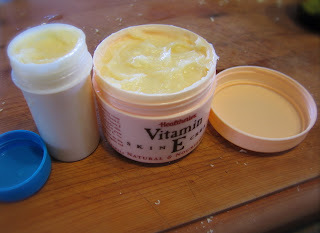 I have been making my own moisture cream for more than 10 years. I like it so much that I prefer using it more than any moisturisers I could buy. I love that I know exactly what is in it and that it is so safe that I could eat it. I believe that if we put something on our skin it should be something that we would feel okay about eating. The ingredients may seem a bit expensive but they make more than one batch of high quality product. This moisture cream is based on a cold cream recipe. Cold cream was invented thousands of years ago by the ancient Greeks so I guess you could say that it has withstood the test of time. The recipe makes quite an oily cream but I find that it is very good for mature skin and as a hand and body cream. I simply wipe my face with a cotton square or a tissue after applying to remove any excess or shine. You will need some clean pots for the finished product. The recipe makes one average sized pot and one or two small ones that are a good travel or handbag size. (The ingredients may seem a bit expensive but they make more than one batch of high quality product. Place Beeswax, Almond and Avocado oils in a double boiler and melt together. Remove from the heat. 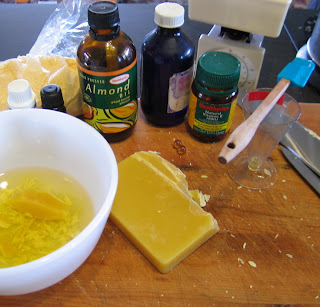 Beat to help dissolve lecithin. Add Rosewater, essential oils and contents of Vit E capsules (prick them with a pin and squeeze) and beat until the mixture thickens. 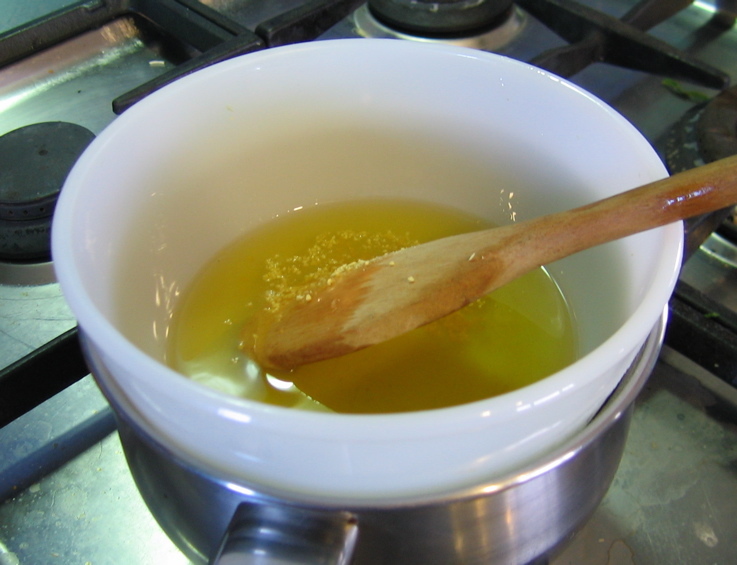 Put cream into clean pots using a spatula. Leave to cool. Wipe the pots with a paper towel and put the lids on. 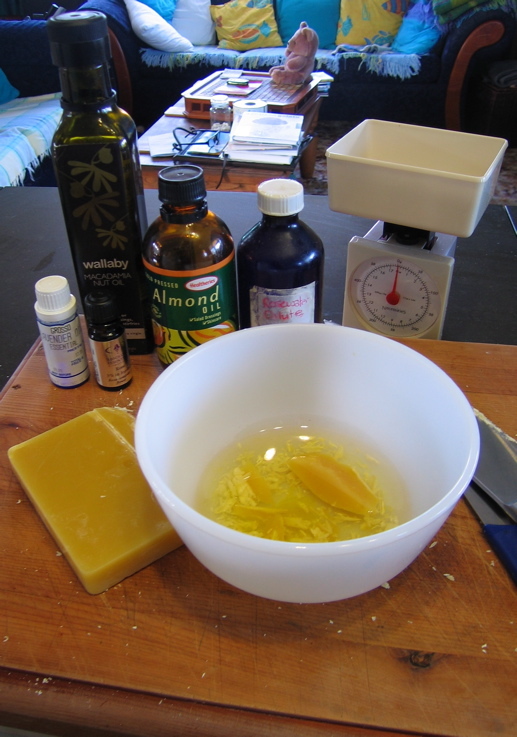 You can vary the oils that you use to make this cream. I have added small amounts of soya bean oil or wheatgerm oil at times. Reduce the amount of the main oils so that the total amount remains the same as in the original recipe. I mostly use Macadamia oil as my main oil because I like the resulting texture. It makes a relatively light cream that is easily absorbed. 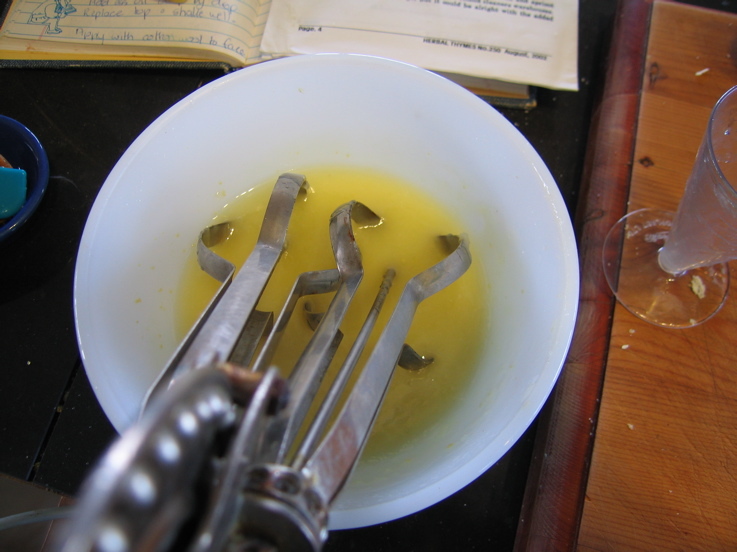 Avocado oil makes a richer cream that has a pretty green tint. 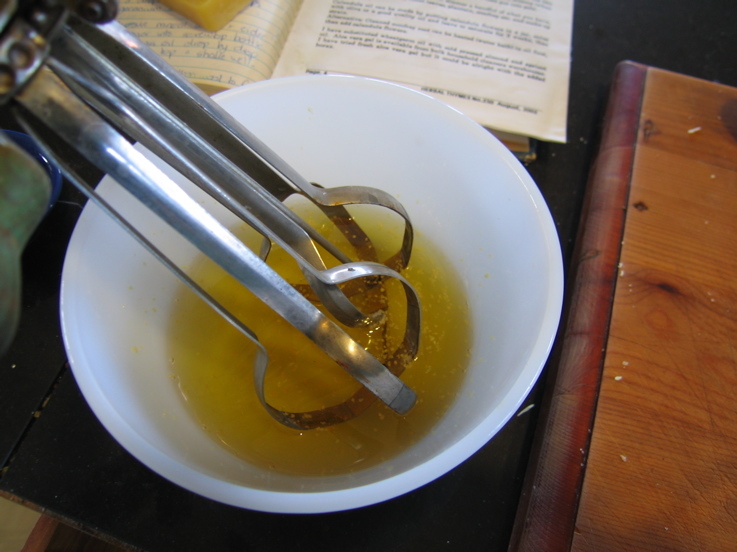 The original cold cream recipe was made with olive oil. I tried this but found it to be a bit too greasy. 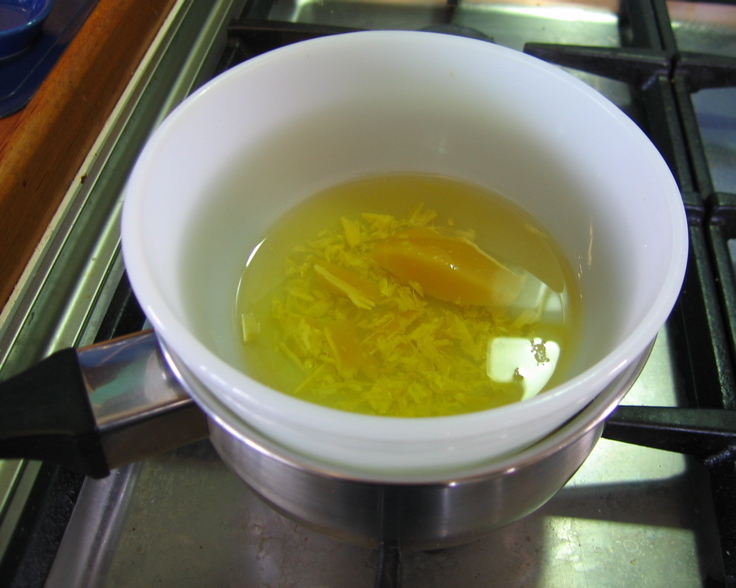 You can also adjust the amount of rosewater to make a slightly lighter product. Experiment and find out what you like. I find that my cream is never quite the same each time but this is part of the fun of making my own. The lavender oil helps to preserve the cream. It keeps very well and doesn't need refrigerating. You could experiment with adding other essential oils, and vary the amounts to your preference. It sounds great! I shall give it a go. I just found your blog, and really like it!